At the height of the French and Indian War, a young English widow ventures into the colonial frontier in search of a fresh start. She never expects to find it in the arms of the half-Shawnee, half-French warrior who makes her his prisoner in the raging battle to possess a continent--or to be aided by a mysterious white wolf and a holy man. 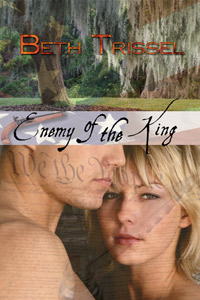 When I wrote historical romance novel THROUGH THE FIRE I felt as though I'd been through the flames. My hero and heroine certainly had. This adventure romance with a THE LAST OF THE MOHICANS flavor and a mystical weave was born in the fertile ground of my imagination, fed by years of research and a powerful draw to my colonial American roots. My fascination with stirring tales of the colonial frontier and Eastern Woodland Indians is an early and abiding one. My English/Scot-Irish ancestors were among the first settlers of the Shenandoah Valley and had family members killed and captured by the Indians. Some individuals returned and left intriguing accounts of their captivity, while others disappeared without a trace. On the Houston/Rowland side of the family, I have ties to Governor Sam Houston, President James Madison and Malcolm 1st of Scotland (that last one's a stretch). Family annals list early names like Beale, Jordan, Madison, and Hite (a German connection I discovered). A brief account of my grandmother (nine generations removed) Elizabeth Hite, says her sister Eleanor was taken captive and sister Susan killed, though not by which tribe. Their brother Jacob was killed by the Cherokee in South Carolina. 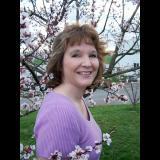 Another ancestor, Mary Moore, is the subject of a book entitled THE CAPTIVES OF ABB'S VALLEY. A Moffett forebear captured as a child became a boyhood companion of the revered Shawnee Chief Tecumseh. When young Moffett grew up, he married into the tribe and had a son, but that's the subject of a different novel. An ancestor on the Churchman side of the family was invited by the Shawnee/Delaware to help negotiate a treaty with the English because he was Quaker and more sympathetic to the tribes. Many accounts are unrecorded, though. Historian Joseph Waddell says we know only a fraction of the drama that occurred during the Indian Wars. I invite you to journey back to a time long forgotten by most.~ ~Hear the primal howl of a wolf, the spill of a mountain stream. Are those distant war whoops? Welcome to the colonial frontier where the men fire muskets and wield tomahawks and the women are wildcats when threatened. The year is 1758, the height of the French and Indian War. Passions run deep in the raging battle to possess a continent, its wealth and furs. Both the French and English count powerful Indian tribes as their allies. 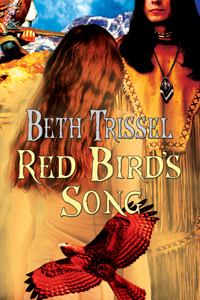 "Ms. Trissel has woven a spellbinding, emotionally riveting story of love and adventure. Her writing is mystical, action packed, and heart wrenching, pulling you straight into the thick of it. Prepare to embark on a captivating journey with characters you'll fall in love with, and won't soon forget." "Ms. Trissel has captured the time period wonderfully. As Rebecca and Kate travel in the wilderness, though beautiful, many dangers lurk for the unsuspecting sisters. Away from the gentility they grew up around, the people they meet as they travel to their uncle in the wilderness are rougher and more focused on survival regardless of which side they belong. I love historical novels because they take me to times and places that I cannot visit and Through the Fire is no different. As I read I am transported back to the mid-1700’s on the American frontier as Britain and France maneuver to control the American continent. I can see how each side feels they are right and the other side the aggressor. I watch how the natives take sides based on promises made but not kept. I felt I was there through Ms. Trissel’s descriptions and settings.